It never stops. 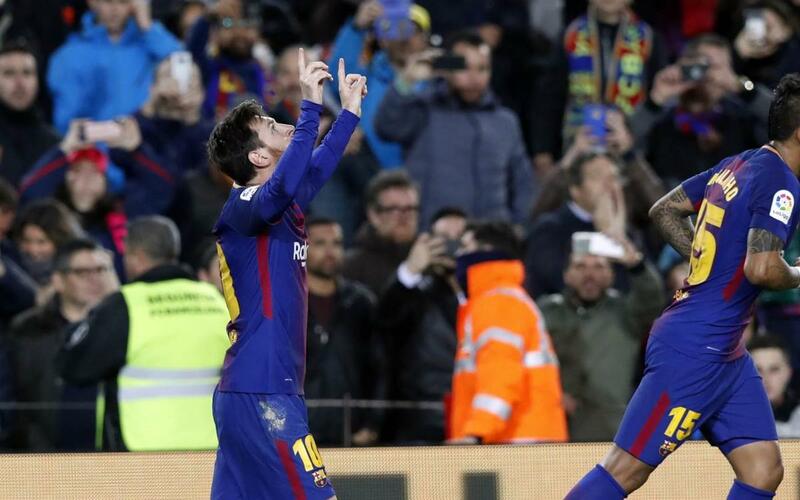 Leo Messi’s latest match-winning contribution, his free-kick in the second half to give Barça a 2-1 come from behind win against Alavés, means he has reached 20 league goals for the 10th successive season. He reached the figure in his 200th league game at Camp Nou, thus equalling a feat he first achieved back in the 2008/09 season when scored 23 goals in La Liga in 31 appearances. In five of those 10 seasons he has surpassed the 30 goal barrier in the league and this season he is well on the way once again as he currently has 20 in just 21 matches. Messi’s goal against Alavés was his 30th from a free kick in the league, a figure that from the 2003/04 season no-one else has been able to match. The Barça number 10 continues to astound and he is also top of the goalscoring charts in La Liga this season ahead of his team mate Luis Suárez. The Argentine is on course to claim his fifth Golden Shoe award as Europe’s top scorer, following on from last season’s success when he ended the campaign with a total of 37 goals.